While already on the web, Microsoft has now confirmed that a selection of "interesting calendars" will be available to add and view from the Android app. Initially, these will be just sporting event calendars but TV shows and other topics will follow. New for everyone is event icons, which includes all of the familiar ones from Sunrise along with some new designs. 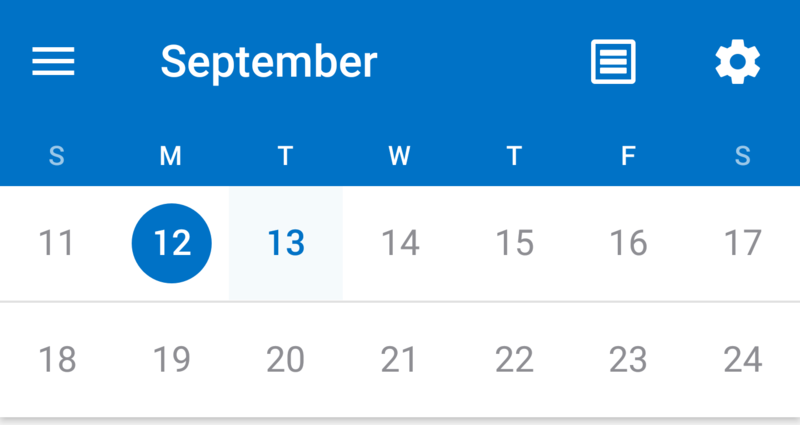 Another added feature—though once you have it you'll likely find it essential—is an embedded calendar in the event details when an address is specified. While the map in Outlook is brought to you by Bing, if you tap on it the location will open in your default maps app (probably not Bing). Though all of this has made its way to iOS, Android is at the dreaded "coming soon" status. With that said, Microsoft is pretty good at keeping both platforms in step with one another. Expect to see these and a few other features like an updated date and time chooser to make their way to Android before long.